Jair Bolsonaro, far-right lawmaker and presidential candidate of the Social Liberal Party (PSL), gestures at a polling station in Rio de Janeiro, Brazil October 28, 2018. 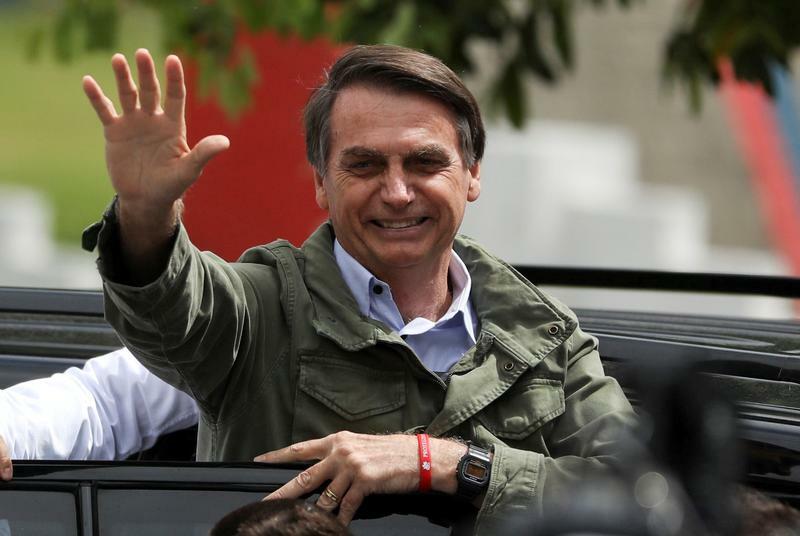 Jair Bolsonaro won Brazil’s presidential election on Oct. 28. The far-right lawmaker had campaigned on promises to cut corruption, get tough on crime and implement a more business-friendly economic agenda. The president-elect warned on the campaign trail that the Chinese are “buying Brazil.” He became the first Brazilian presidential candidate to visit Taiwan since the Latin American country recognised Beijing as the sole Chinese government in the 1970s. China Daily, a state-run English-language newspaper, published an editorial saying there was no reason for Bolsonaro to disrupt relations with China, noting that China is the country’s largest export market and warning of a “backbreaking” economic cost if Bolsonaro were to “dump” China.